Over 37 years as professor, program director and dean, Robert E. “Zeke” Shaver made immeasurable contributions to the University of Kentucky College of Engineering. A native of Greenville, Ky., Shaver was a member of Tau Beta Pi, Chi Epsilon, Eta Kappa Nu, Pi Tau Sigma and Triangle Fraternity. After graduating, he served as a civil engineer with the Kentucky Department of Highways while working toward a master’s degree in civil engineering, which he received from UK in 1931. Upon earning his master’s degree, Shaver was appointed instructor of surveying at UK. He became assistant professor in 1932, associate professor in 1937 and professor and head of the Department of Civil Engineering in 1946. Shaver became dean of the UK College of Engineering in 1957. During his nine-year tenure, Shaver made numerous improvements to the college’s infrastructure and quality of education. He took steps to rebuild the curricula and upgrade the academic standards of the college. He introduced new scholarships as well as a course in nuclear engineering for upperclassmen. Shaver also initiated the construction of the $2.25 million F. Paul Anderson Tower, which essentially doubled the capacity of the college through new classrooms, laboratories, of offices and a library. In addition, Shaver facilitated the expansion of UK campuses at community colleges in May eld, Henderson and Hazard. In 1960, he was one of two men chosen to review UK projects in Indonesia. The projects were implemented under a contract to assist the Institute of Technology in Bandung. In 1966, Shaver was named director of the division of engineering and construction management at UK. The newly formed unit was designed to coordinate engineering initiatives in the university’s long-range plan, which involved all UK campuses in the state. Shaver’s duties also included overseeing the engineering aspects of each project. While at UK, Shaver maintained a private consulting practice that offered expertise in surveying and mapping, soil mechanics and foundations and transportation. He also conducted research on construction materials. In 1968, Shaver was honored by four UK engineering honorary societies: Tau Beta Pi, Chi Epsilon, Eta Kappa Nu and Pi Tau Sigma. After his retirement, the college renamed the engineering library on the third floor of F. Paul Anderson Tower to the Robert E. Shaver Library of Engineering. In 1989, he was honored by alumnus Oliver H. Raymond through the creation of the W.L. Raymond and R.E. Shaver Chair in the Department of Civil Engineering. 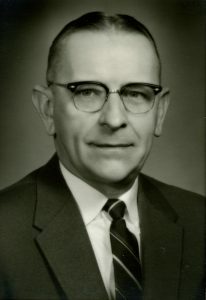 Shaver served as a director on the national board of the American Society of Civil Engineers, where he was an honorary lifetime member and Kentucky section president. He was also an honorary member of the board of the Kentucky Society of Professional Engineers. Shaver was an elder and deacon at First Presbyterian Church in Lexington, as well as a member of the Pyramid Club and Lexington Rotary Club. Shaver passed away July 15, 1973 in Captiva Island, Fla. He and his late wife, Frances Reid Shaver, had two daughters, one son and four grandchildren.